My guest today – Andreea Ayers. She’s a mom of three and a serial entrepreneur, having started a few businesses and selling three of them. 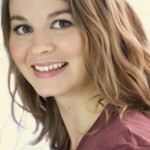 She now blogs at LaunchGrowJoy.com where she shares marketing tips and strategies for entrepreneurs with a product line. Andreea is a mom of three and a serious entrepreneur. I have started a few businesses and sold three of them and now blogs at www.LaunchGrowJoy.com where she shares marketing tips and strategies for entrepreneurs with a product line. What did you think about the message Andreea shared today?Are you using Pinterest in your business? How is it working for you? What action steps are you going to implement from this day forward? Go ahead and share. We’d love to hear from you! Please leave your comment in the box below, and remember to share and Like the show with your colleagues. Also, stop on by our Facebook page to say hello and to give us a shout out on Twitter – we promise to shout back! As always, we appreciate it! [New podcast] Are you using Pinterest in your marketing? Had a great interview with Andreea Ayers who revealed how we can leverage this visual tool in our businesses. Enjoy! [New podcast] Loved this interview I did with Andreea Ayers. She knows her stuff when it comes to Pinterest. Enjoy! What about you – are you using Pinterest in your business? How has it worked for you? Go ahead and share! [New podcast – Ambitious Entrepreneur Show] Are you using Pinterest in your business? Andreea Ayers joins me today to show you how you can leverage Pinterest in your marketing to build exposure and your client base! I took down lots of notes myself and am now using Pinterest much more than I was. What about you?